Controversy is Christian: Am I romanticizing Lucifer? A viewer of my kickstarter project saw the above trailer and stated the following. “I must say you have made a VERY interesting trailer. Did you make that your self. I assume the footage is from video games and stock footage but the music, text and all is pretty impressive. “I’m glad you enjoyed the trailer. I took me quite a while to put it together. Yes it is from various elements of footage that I’ve ‘stitched’ together. If you think that was impressive imagine what I was able to depict in a 400 page novel! I love the story and I think it came out great. You’re just getting a taste of my story telling in the trailer. For those of us who accept the literal interpretation of the Bible Lucifer is a real person, Anakin Skywalker is a fictional one. This is ultimately a fictional account of the life of a real person, and depicts his falling from power and his eventual demise. When you think about it, we hear about this type of thing daily with all manner of persons unfortunately. Anakin eventually found redemption, no such situation exists here. 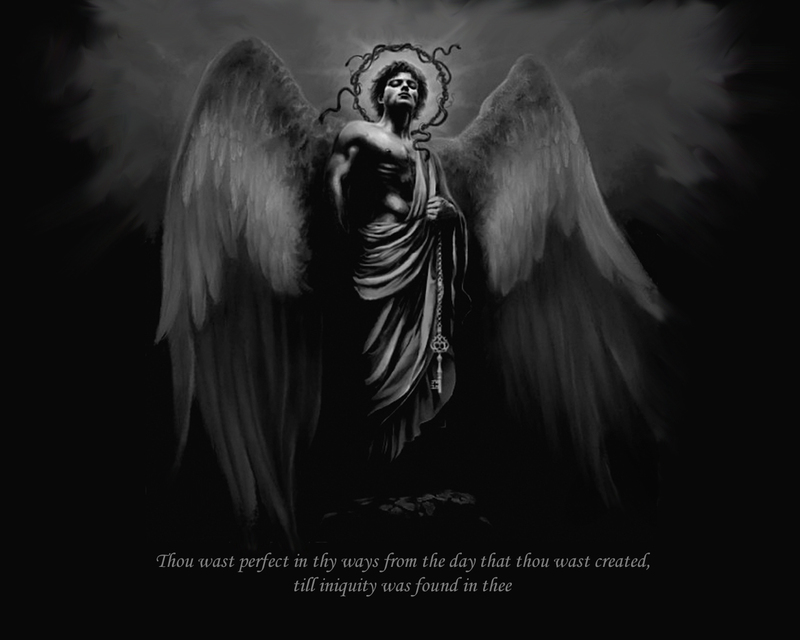 Lucifer is clearly shown to be judged at the end of time, and my novel shows him in that state at the very beginning. I would encourage people to take a look at my prologue in the book. The novel clearly starts with where Lucifer is destined to be. The series simply addresses HOW he arrived from point A to point B.
I don’t believe telling his story takes nothing away from the central message of the Bible which culminates in the person of Jesus Christ. I don’t think it romanticizes Lucifer to talk about the fact that at one time he was good. It simply is a statement of fact. I do not want to make him into something he is not, I’ve tried to share an entertaining tale from a Christian perspective that a believer could ‘get with’. What is the real story to me is how someone who held such position in the kingdom, who was so close to God, who was created in perfection and lived in perfection could acquire a level of dissatisfaction that could be so contagious that it resulted in such a schism that a third of angel kind rebelled? That I believe is the story of interest, and the story in this first of what is to be three books in the series. If anything I hope it can be an object lesson and a warning to all of us, and foster a deeper love of the Bible and bring the scripture to the forefront of peoples mind, via literary entertainment. Similar to the Left Behind Series. I hope you feel comfortable supporting the project. So last time I checked the word romanticized means to treat as idealized or heroic. I’m not sure how that’s portrayed in the trailer or even the prologue. But it is an issue that I had to address when writing the novel. So my question to you guys is this? Has what you seen so far romanticized Lucifer?